Fine sturdy motherboard, I was a bit rough with it during the installation, but didn't break anything, its definitely a good piece of equipment. A little small, but I can't complain. Nice price for a quality product. 10 dollar rebate, too! The Gigabyte motherboard was a component which shaped the build in a way as I initially wanted to dual boot Mac OSX. Although plans have changed now due to fears of another system failure (my little heart probably could not handle another issue and panic attack like I had with the memory), I can still Hackintosh the build if I choose. Does exactly what its supposed to do. The BIOS is a bit minimalistic and somewhat laggy/unresponsive for lack of a better word. However, it has the features I need and does what I need it to do. It only has 3 fan headers in addition to the CPU fan header as a word of caution. The board also had some very minor flex behind the CPU socket after installation of the stock Intel CPU cooler. Of note, the board is only Crossfire compatible (not SLI). Note: this board was actually purchased for a dead ASRock H97M Pro4 board, which died on me after approximately 2 weeks of use. This board has shown no problems. 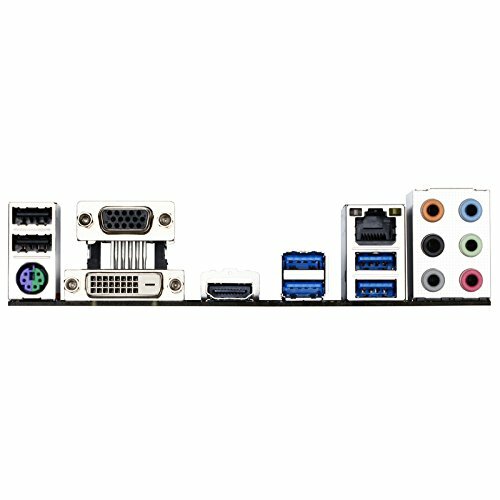 Basic mobo for standard features. USB 3.0 front header is useful as well. RAID support and Crossfire support, for the price it was too good to be true (at least where I lived). 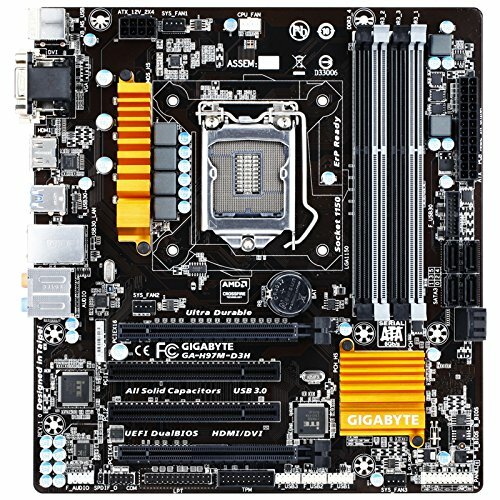 The motherboard is sturdy and the VRM/Chipset heatsinks are beautifully designed. My only complaint would be that of the ugly UEFI but other than that, great motherboard! Definitely recommended for people who want RAID but don't want to overclock.